Hero MotoCorp is reportedly creating a constellation of scooters in a bid to grab a more sizeable market share in the Honda-led space. The Indian two-wheeler brand, which is leading the motorcycle market with the Splendor, HF and Passion brands, plans to expand its scooter portfolio to six models in 8-12 months. As per the report, by October 2019, Hero would retail four scooters in the 110 cc class (Pleasure, Duet, Maestro & new model) and two scooters in the 125 cc class (Destini & Maestro Edge). 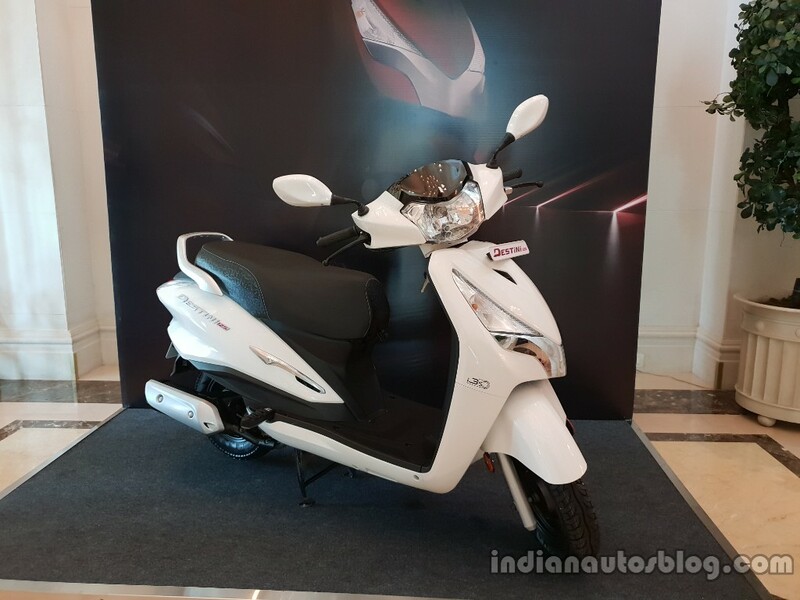 Earlier in October, Hero MotoCorp launched the Destini 125 at INR 54,650 for the base (Lx) variant and INR 57,500 top (Vx) version – both ex-showroom, Delhi. The Destini 125 is available in Delhi-NCR from yesterday while sales in other markets across the country will commence in the following weeks. 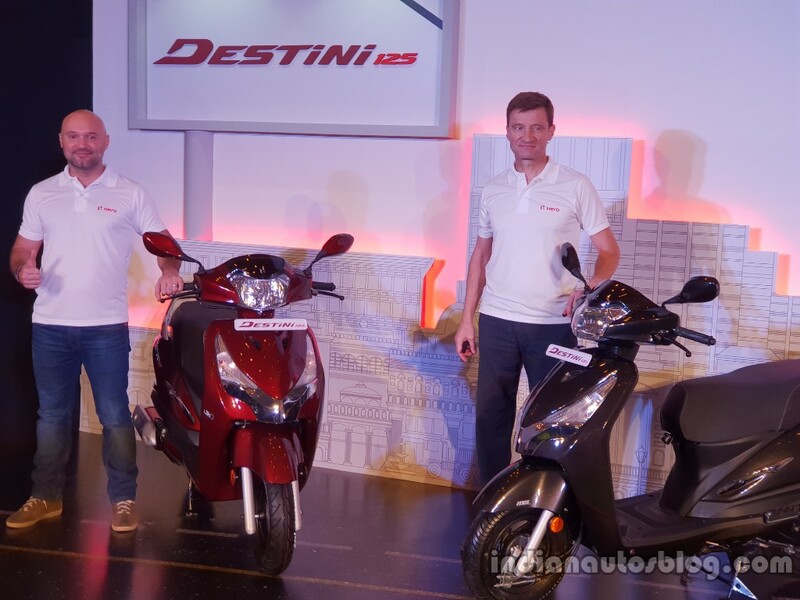 Speaking on the sidelines of the Destini 125's launch, Dr. Markus Braunsperger, Chief Technology Officer, Hero MotoCorp told IAB that the new Maestro Edge 125 should arrive by the end of 2018 or early 2019. The report says that a new 110 cc scooter, the company's fourth offering in that segment, will follow in the next financial year. Hero retails the Maestro, Duet and the Pleasure currently. We are confident that the Destini 125 will be a strong enabler for us in growing our presence in this (scooter) category. Apart from the scooter segment, Hero MotoCorp aims to expand its product portfolio with premium motorcycles. A report from September 2018 suggests that Hero MotoCorp is planning four motorcycles in the 200-300cc segment. The new Xtreme 200R has already arrived in India at a competitive ex-showroom price tag of INR 89,900. The next model in the premium motorcycle segment from Hero MotoCorp will be the Xpulse 200 that, as confirmed by Dr Braunsperger, will arrive by early 2019. The third product for the 200-300cc premium motorcycle space was allegedly revealed through a leaked patent image. The filed motorcycle features parts from the Hero Xtreme 200R and the Xpulse 200. The fourth model is a mystery. The Hero Destini 125 is pitched as a premium family scooter, while the Maestro Edge 125 will be targeted at the younger audience, primarily male. Hero MotoCorp controls over 60% in India’s mass-market motorcycle segment, but its share in the scooters is just 10.42%. Its former partner, Honda, is the segment leader with almost 60% market share, with the Activa being the primary contributor.